AID POURED in for 1,217 families in Camarines Sur and Albay as the Philippine Red Cross (PRC) provided multipurpose cash grants to help them recover from the aftermath of Tropical Depression Usman, which ravaged the southern part of the country in December 2018. 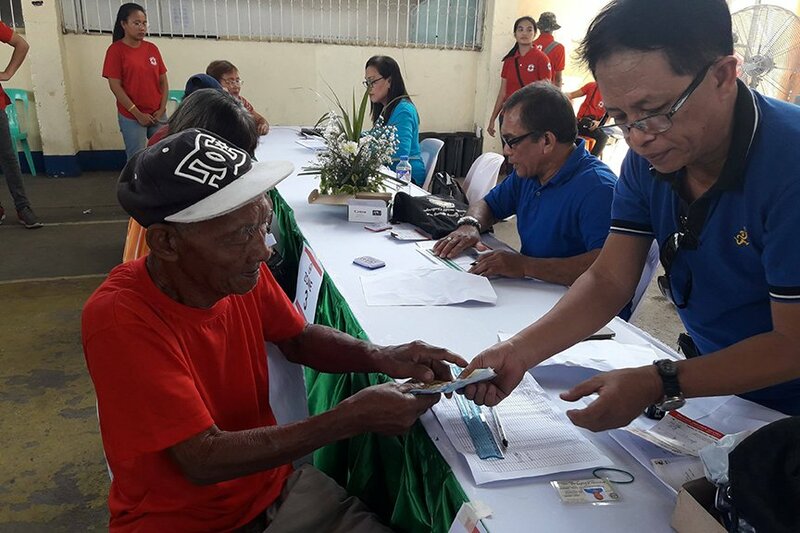 On March 19, PRC, in partnership with the International Federation of Red Cross and Red Crescent Societies, distributed P3,500 each to 917 families from Brgy. San Miguel and Brgy. Ombao Polpog in the Municipality of Bula, Camarines Sur. This was followed by the distribution of cash grants to 300 most affected families Brgy. Maynonong, Brgy. Naga, and Brgy. Sugod from the Municipality of Tiwi, Albay on March 20. Chairman Richard Gordon said the cash grant empowers the beneficiaries to start anew following the devastation of Usman. “The Red Cross never forgets. It’s been three months since Usman displaced thousands and we are still here to assure people that they will never walk alone. We are here to give them options,” Gordon said. The distribution of multipurpose cash grant allows families to prioritize their immediate needs to recover from the impact of the disaster. Data from the PRC Operations Center shows that Usman damaged over 5,000 houses in Camarines Sur and Albay. Landslides and flooding also resulted in agricultural and livelihood losses. PRC first dispatched a “humanitarian caravan” composed of water tankers and rescue trucks during the height of Usman. Staff and volunteers also spent the New Year providing search and rescue, relief, water, and welfare assistance to affected communities in Camarines Sur and Albay.